business is crucial to you? Why can VPN and RTP multiplexing over DSL, fiber, VSAT and 3G/4G be crucial for Call Termination business? 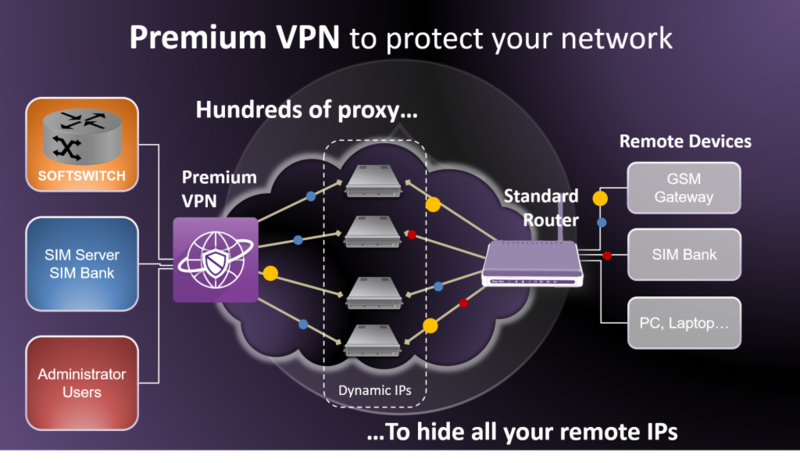 Premium VPN provides a very easy central management of all your remote sites with a proprietary encapsulation, header compression and encryption method. With SIMBERRY’s service, you will no longer need to buy or have recurrent expenses for VPN server, public IPs, datacenter, licenses or maintenance. You will just install a router, already preset, connect your GSM device to it and you are ready to manage your remote site as part of your private network. 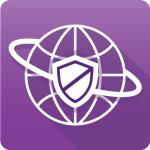 Premium VPN includes all necessary components without any additional items but the router. It includes VPN server in our datacenters, range of public IP (virtually unlimited) and bandwidth auto adaption based on your traffic. All your remote sites are connecting to the pool of IP location you have selected and they are managed by the SIMBERRY’s VPN application running on global distributed server farms with an intuitive web interface. 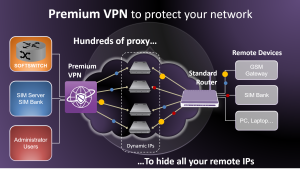 Premium VPN requires a router on each remote site as part of the private network (list of compliant routers provided upon request). It requires as well Internet access and/or 3G/4G data access.